Our best will touch their hand to the ground on the GHD sit-ups, use 45lb. dumbbells and complete “L Sit” no-leg rope climbs from a seated position. 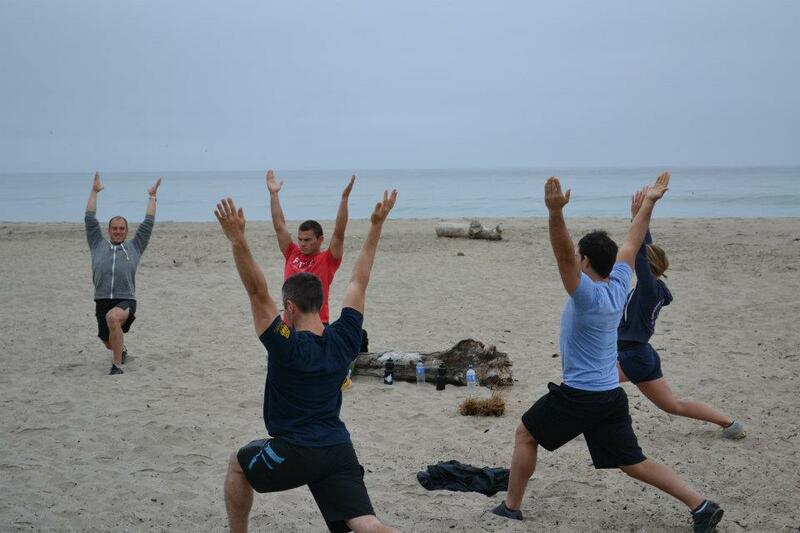 Beginning in August, join CrossFit Amundson for our unique brand of Yoga called “10 Pillar Yoga” on Thursday mornings at 8:30 at the beach. This 45 minute Yoga and mediation practice taught by Greg Amundson is the perfect balance for the usual hard and fast physical training we do in the gym. We’ll be rotating between our favorite spots at Seacliff State Beach, Harbor Beach and Pleasure Point Beach.